Help you create and edit funny videos with ease. Script - Maybe the most important thing here is to create a script at first as this will offer you better results. Creating a script based on the content you already have might also be an option, but honestly it’s not as good and you should definitely consider creating a script first. If not, then it will be a possibility to create it afterwards as well. Get to know your pets - Also, you do need to get to know your pets. You have to understand the range of facial expressions and behaviors that they have and when they do this. Such things will make the entire movie a lot more fun and exciting, rest assured that everyone will be able to benefit from it. Plus, the entire movie will be a much more relaxing and exciting experience and that’s always great to begin with. Be natural - You have to keep in mind that in order for the talking dog video to work, it has to move the mouth in a natural manner. Also, you should also try to view the animal from a different angle. Start from the best position and then move from other angles as well. Filming - When it comes to the equipment used for recording, a camcorder or a smartphone can be the best options. Make sure that you focus on proper lighting and try to remove the background noise as well. As many as possible clips - The more content you use the better, try to be certain that you have enough content to work with. This is why you have to acquire as much video as possible, because you never know when you are going to need it. After you have the videos, you have to enter the editing room and you also need to dub the video. This is where you have to work with a dedicated professional tool. 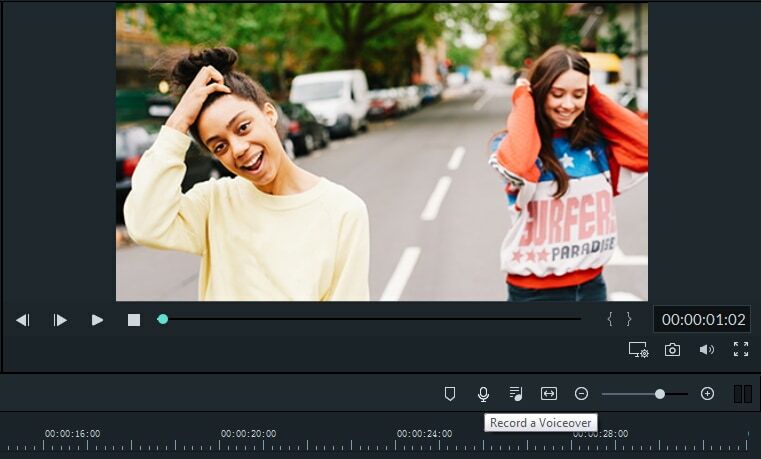 The tool of choice for many professionals comes in the form of Wondershare Filmora. Dubbing your pets with help from Wondershare Filmora is actually very easy, you just have to go through a set of dedicated steps. You will have to first import the video clips via drag and drop. You can also use the menus but using drag and drop is a lot easier and you get more control this way. Once you have the videos loaded within the app, try to cut all parts that seem unnecessary. You will then need to combine the clips you like together. The next portion will require you to remove the background noise of the video. Background noise can appear many times and it’s up to you to ensure that you eliminate it as fast as you can. Start dubbing your pet and do that by adding your own voiceover. You can also get voiceovers from the web, this is all up to you. Wondershare Filmora allows you to access a green screen app that helps you place all your pets in a Hollywood movie. Once you completed everything you will be able to share the video on YouTube and social media without any problem. Keep in mind that you will also be able to burn it to DVD which is always a major plus. As you can see, creating as talking dog video is a lot of fun and it will surely offer you the happiness and excitement that you need in your life. Don’t hesitate and use Wondershare Filmora to get the best experience right away. This is the best app if you want to dub your talking dog video so harness its power and use it immediately to get the best experience.